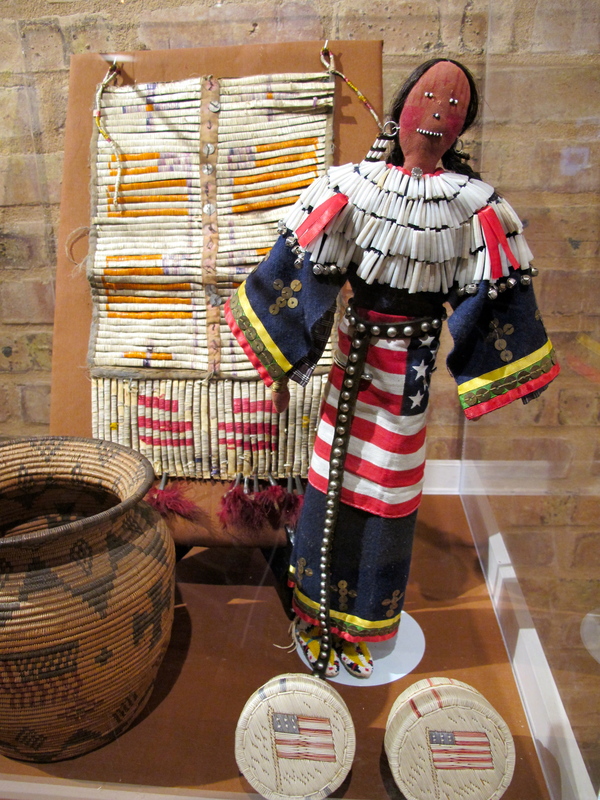 The American flag became an important motif in Native American art during the Reservation Period (1880-1910). Called “the Grandfather’s Flag” by the Sioux, the American flag was considered a protective symbol both because of its association with the powerful US Army and as a means to demonstrate allegiance to the American government. Parallels between the flag and Native religious iconography, like the red and white striped Sun Dance pole, the Morning Star and the blue sky, also encouraged the adoption of the American flag design in Northern plains art. The warrior’s path for Native Americans in Vietnam and elsewhere involved incorporating indigenous culture with American patriotic symbols like the flag and rally songs. When I was at the Veterans for Peace convention earlier this month, I got to see the product of one of these blends in person. Three members of the Ho-Chunk Nation from the Four Lakes area came to the opening ceremony and performed Native American service songs for the Army, Navy, Marines and Air Force. Unlike the horn-rich marching songs of the US military, these songs incorporated traditional drumming and lyrics in the Siouan language. I recorded one of the songs, which you can listen to below. Smithsonian Folkways also has a CD available of songs for indigenous veterans which includes all four songs and others written by Native Americans. 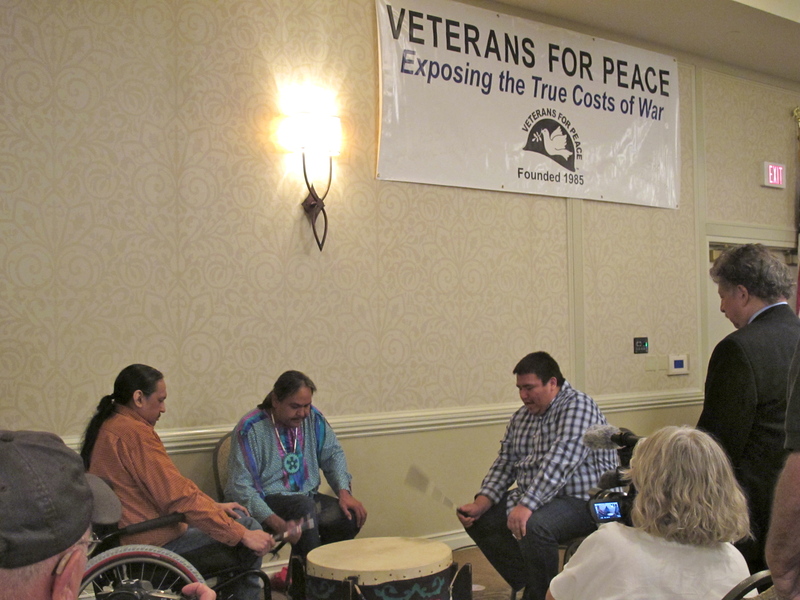 Three members of the Ho-Chunk Nation performing at the Veterans for Peace convention. Madison Mayor Paul Soglin is on the far right.